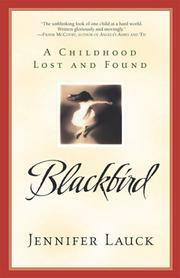 A searing, soaring memoir of one girl’s complicated and almost unbelievable childhood. Jennifer Lauck’s mother died in the fall of 1970, leaving Jennifer’s father to look after her and her brother B.J. on his own. With dizzying speed, shock after shock followed this initial tragedy. Out of frustration, B.J. disclosed the secret of Jennifer’s adoption, which her father confirmed. Soon he introduced his two children to Deb, the materialistic, impractical woman he had apparently been seeing since before his wife’s death; eventually he and Deb (who had three children from an earlier marriage) wed. An emotional tug-of-war ensued between the Lauck children and their surrogate mother, and, during her stay at a summer camp, Jennifer was sexually molested by one of the male counselors. Not long afterward, her father suffered a fatal cardiac arrest, leaving Deb in charge of all five kids. Guided by the High Early Seventies idealism of the commune-like Freedom Church, Deb and the kids moved to northern California in a brief attempt at living off the land near Stanford University, before returning south in defeat. On the brink of losing total control, Deb enrolled Jennifer, who was 11, in a program sponsored by her “church” that allowed her to live under the supervision of a married couple near downtown Los Angeles; she was expected to work for her room and board there, while simultaneously seeing herself through school. The story ends with rescue: some Lauck relatives from Nevada who happened to be visiting Los Angeles looked up the kids, discovered their plight, and claimed custody. This hairpin-curve existence is narrated entirely from a young girl’s viewpoint, and Lauck’s literary achievements—voice, characterization, pacing—are as extraordinary as those of Frank McCourt and Dave Eggers, if not more so. A lost childhood reclaimed in profound triumph, and with the promise of a sequel to match.